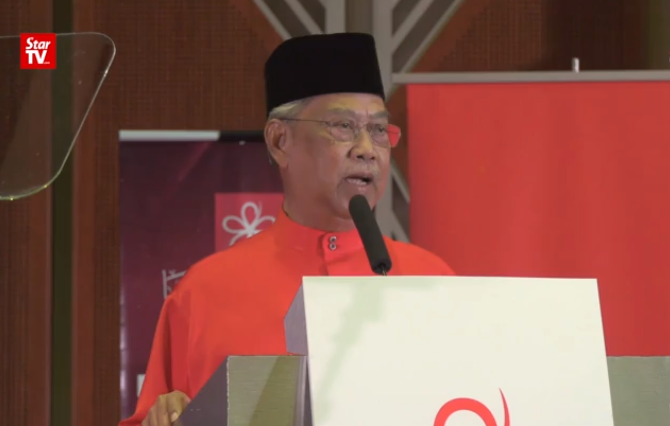 Parti Pribumi Bersatu Malaysia president Tan Sri Muhyiddin Yassin has lambasted Umno and PAS during the party’s AGM calling them "adulterers who cheated and kissed each other for political gain". Muhyiddin said this in his officiating speech of the Bersatu Youth and Women wings Friday night where he also said Bersatu will champion a new policy on Bumiputera Agenda to be implemented as a national agenda. Muhyiddin, who is also the Home Minister, also advised the Malays to change their attitudes in order to succeed and should realise that government assistance alone was not sufficient to ensure their success.